Everyone wants Mardi Gras beads. Even those who don’t live in New Orleans. 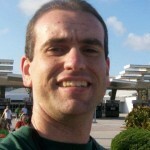 I don’t reside in “The Big Easy,” but I do live in “The Big Guava,” a.k.a. Tampa, Florida. We don’t have the Mardi Gras parade, but we do host an annual pirate festival called Gasparilla — which celebrates the arrival of a mythical pirate named Jose Gaspar who comes into town every year with his band of buccaneers to invade the city. 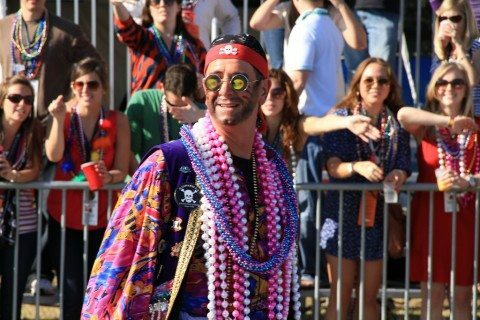 Basically, it’s Mardi Gras with a pirate theme — and lots of beads! The parade grows larger and larger every year, drawing people from all over the United States. They come for the booze, the beaches, and yes, the beads. The pirates throw hundreds of thousands of pieces of booty that look like Mardi Gras beads from the dozens of pirate ships that rumble along Tampa’s picturesque Bayshore Boulevard. But what happens to all those beads after the pirates have ceremoniously invaded my fair town? Many of them meet a sad fate in the dumpster. Others hang around for years at a time as plastic memories of Gasparilla parades of yore in drawers and sometimes (fittingly) in keepsake treasure chests. But are there ways to reuse parade beads for other purposes? Want an especially festive way to wrap some gifts? Why not dress them up with Mardi Gras beads? Really, any party beads will work, so long as they’re flashy! The easiest way to incorporate parade beads with gift wrapping is to cut the loops from the beads, wrap the long string around the gift, and then tie the 2 ends together at the top. You may also choose to tape the string of beads around the top edges of the entire gift in swag fashion. With some round pieces of felt and hot glue, you can turn your parade beads into fancy-schmancy drink coasters. Cut the loop of the parade beads, and then start by gluing one end of the Mardi Gras beads directly in the center of the felt. Concentrically wrap the string of beads outward toward the edge of the felt, gluing all of the beads onto the surface of the felt. Let dry and, tada! You’ll have some festive coasters! Hosting a party? Buy some clear glass vases and fill them with the parade beads to make some nifty centerpieces! You could mix the colors of the beads up in each vase, or use only a single color in each vase for themed decorating. The choice is up to you, but either way you’ll have instant centerpieces worthy of display for virtually any party! This one’s a little difficult to explain without photos, but Padgett Hoke walks you through the steps of making a crafty chandelier out of a bunch of parade beads, a wire garden basket hanger, a hot glue gun, and a lamp. She also bought some spray paint to give the chandelier just the right color for where she was going to hang it. Her chandelier cost less than $30 to make, but she had to buy beads. If you’ve got a bounty of Mardi Gras beads or other strands of plastic beads, then you’ll be able to save money on your own beaded chandelier. Not feeling very crafty? No worries. If you’ve got an event coming up, why not give away your oodles of parade beads as party favors? Talk about partying green… (and purple and yellow). Who doesn’t love beads? Young and old, guys and gals — just about everybody loves festive beads! Do be careful about who gets those beads though… they could present a choking hazard to young kids, and they could also be dangerous for pets. Not feeling crafty at all? OK, OK, then forget all the upcycling ideas that I’ve mentioned. Fortunately, plastic beads are recyclable. So you can simply take all those parade beads and haul them down to the recycling center. Or, if you recycle at your home, place them in the plastic recycling bin. 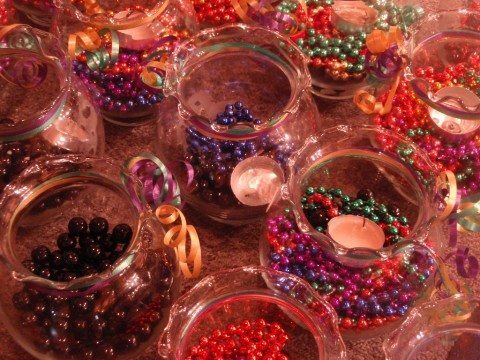 While this may be the least exciting way to recycle your Mardi Gras beads, it’s no less an environmentally responsible way to give your party beads a new life. Maybe, just maybe, you could give them one last, ceremonious toss (like people on parade floats do) into the recycling bin… you know, for old time’s sake. 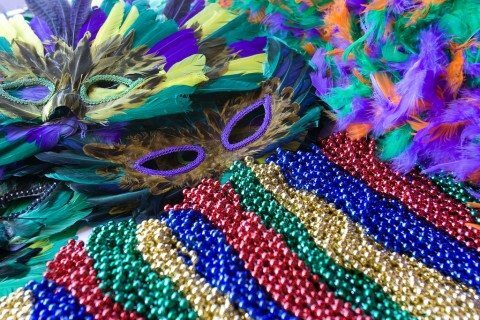 Where Can I Recycle Mardi Gras Beads?